Larsson, Anders Olof (2019). Coherent Clusters’ or ‘Fuzzy Zones’ – Understanding attention and structure in online political participation. Skogerbø, Eli and Larsson, Anders Olof (2019). 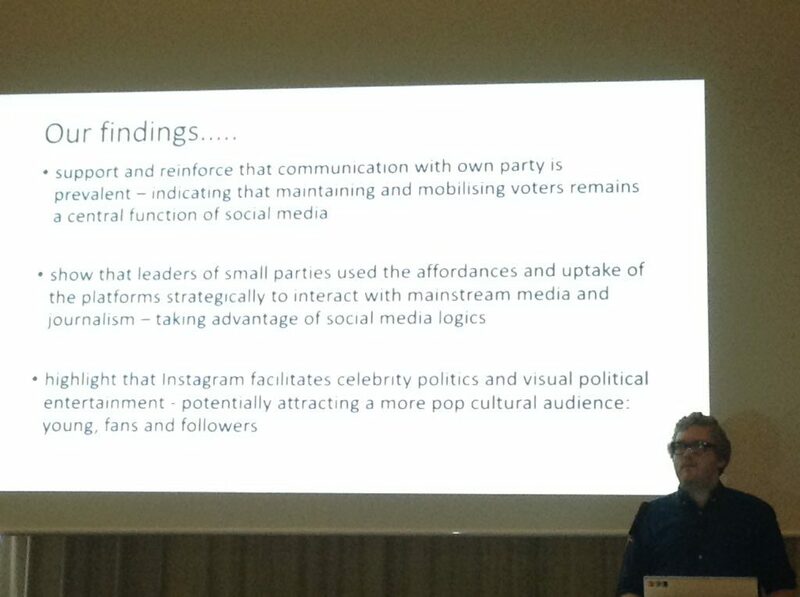 Comparing Twitter and Instagram as platforms for party leader communication – Findings from the 2017 Norwegian election. Russmann, Uta; Svensson, Jakob and Larsson, Anders Olof (2019). Portraying Politics – Instagram use in Scandinavian election campaigns. Rustad, Gry Cecilie and Larsson, Anders Olof (2019). Spreading Skam: Social media television reception and textual engagement. A healthy mix of political communication and television studies – no journalism presentations for me this year, it would seem. All in all, it looks like I will have a busy conference once when the International Communication Association convenes in Washington D.C. at the end of may. Larsson, Anders Olof (2018). Winning and losing on social media – Comparing the popularity of political posts across platforms. Abstract accepted for presentation at the 7th European Communication Conference (ECREA). Lugano, Switzerland, october 31-november 3. Skogerbø, Eli and Larsson, Anders Olof (2018). Crossing over? Parties and politicians on Twitter and Instagram. Abstract accepted for presentation at the 7th European Communication Conference (ECREA). Lugano, Switzerland, october 31-november 3. Rustad, Gry Cecilie and Larsson, Anders Olof (2018). Spreading Skam. Social media television reception and textual engagement. Abstract accepted for presentation at the 7th European Communication Conference (ECREA). Lugano, Switzerland, october 31-november 3. 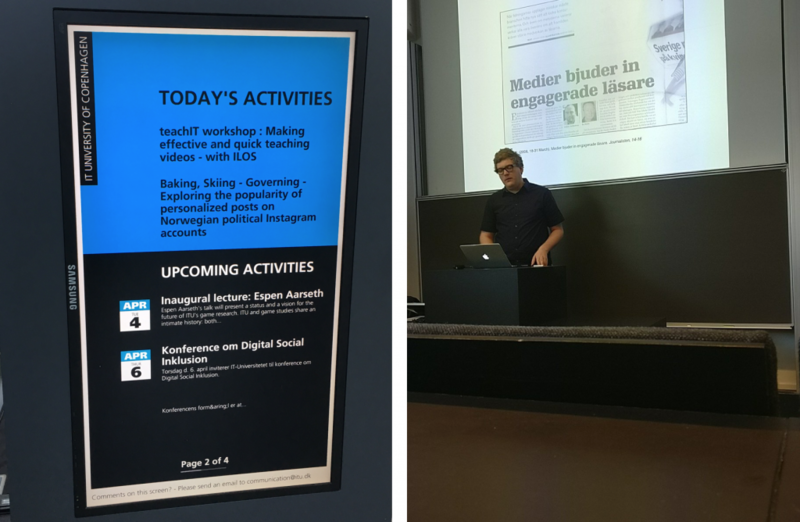 … sort of a “mixed bag” of my research interests – mostly political communication, but also a presentation based on my ongoing collaboration with Gry Cecilie Rustad (university of Oslo) regarding Instagram fan engagement with the popular Norwegian webb-tv-series Skam. 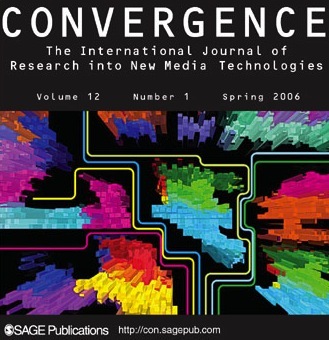 Convergence: The International Journal of Research into New Media Technologies. A truly interdisciplinary journal, Convergence features scholarship emanating from humanities and from the social sciences. As I mostly associate myself with the latter of these two overarching disciplines, I look forward to playing a part in shaping the output of the journal in this regard in the coming years. 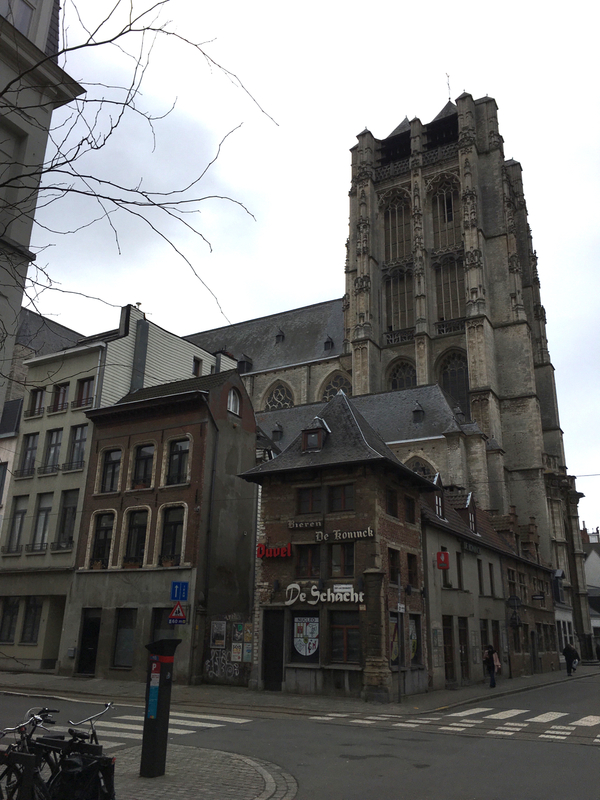 Spending a couple of days at the University of Antwerpen, Department of Communication Studies as part of an ERASMUS staff mobility exchange, hosted by Hilde Van den Bulck. While here, I’ve guest lectured in a journalism studies class organised by Steve Paulussen and a political communication class organised by Peter Van Aelst. Moreover, I had a nice opportunity to discuss the possibilities and pitfalls of digital methods and data gathering from social media with a few doctoral students who are working on really interesting projects. Picture from Stephen Cushion on Twitter. 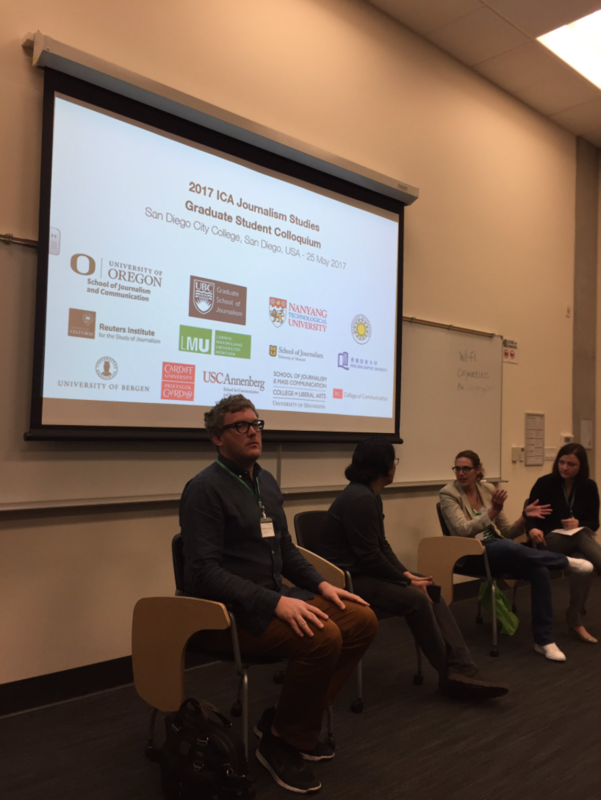 I may look somewhat reserved in the picture above, but in reality, I had a good time at the Journalism Studies Division PhD Colloquium. I commented on a paper and, as seen above, took part in a panel on career management for (comparably) younger scholars. Others taking part in the panel were Valerie Belair-Gagnon, Nikki Usher and Edson Tandoc Jr. Besides the colloquium, I was involved in two other presentations – one in a preconference on online commenting, “Comments, Anyone? Multidisciplinary Approaches for Analyzing Online User Comments Across News and Other Content Formats”, where a collaborative project involving myself, Karoline Andrea Ihlebæk and Anders Sundnes Løvlie was presented by Karoline. Moreover, I presented my own work regarding the uses of Instagram by politicians and parties during a session of the main conference organised by the political communication division. 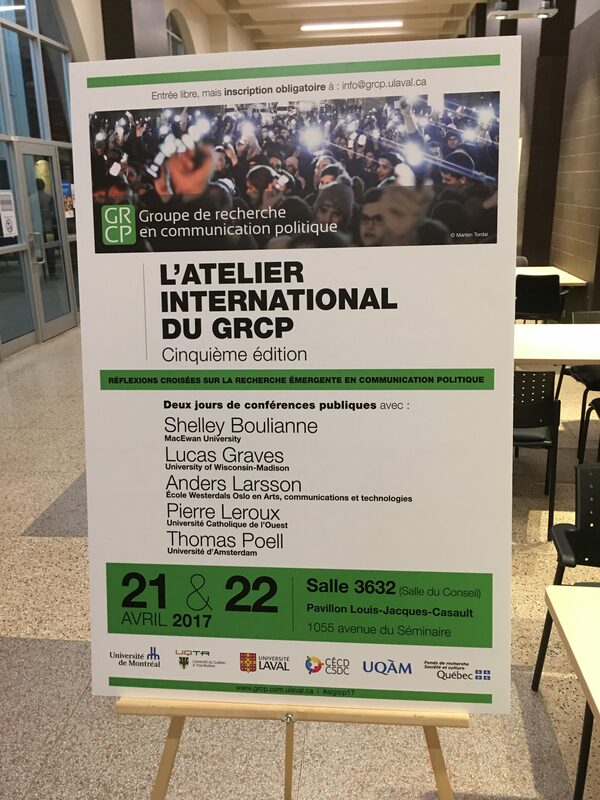 Just got back from Quebec City and from the fifth edition of the International workshop on political communication (pdf) as hosted by the Groupe de recherche en communication politique at the Université Laval in general and by Thierry Giasson in particular. 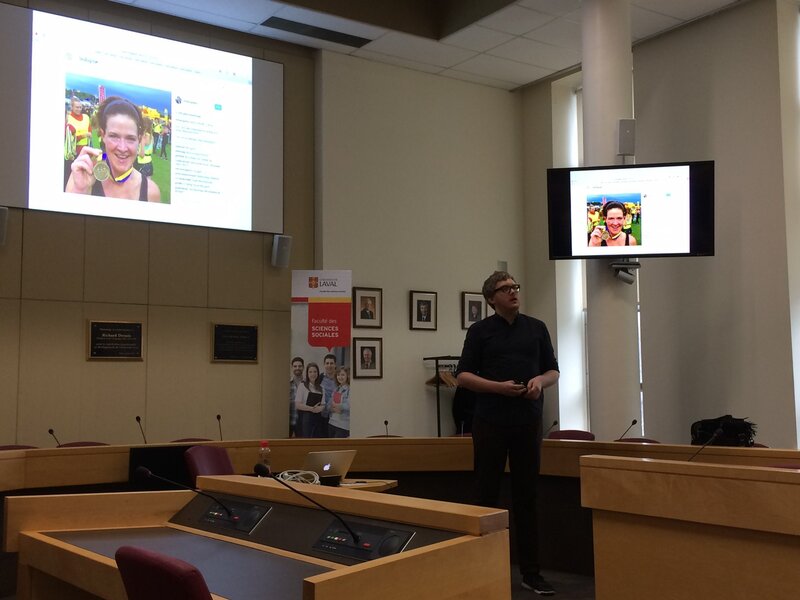 While travelling to Quebec to stay there for merely three days is not optimal, I enjoyed the workshop, which featured myself and four other invited guests providing extensive presentations and taking questions for a similarly extended period of time. A demanding format, but interesting and very useful. 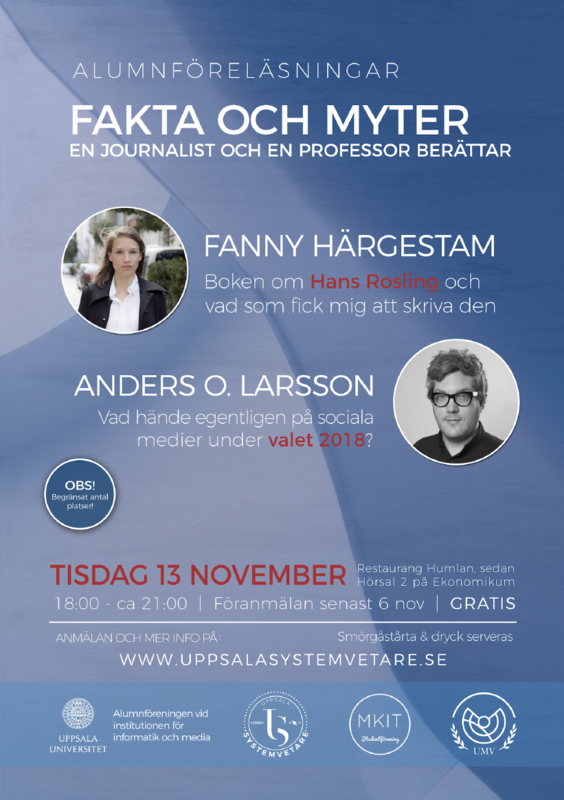 I presented on the uses of social media by Scandinavian politicians, focusing specifically on what types of content as posted by parties and politicians that seem to “work” – as in receiving comparably higher numbers of “likes” or shares. … and for those who are interested in what I talked about, the paper can be found here (or indeed on academia.edu or ResearchGate). Thanks to Luca Rossi for the picture on the right. I took the one on the left myself. I’m spending the week in Denmark, presenting some of my ongoing research for the DECIDIS group at the IT-University of Copenhagen. Focusing on online political communication, my paper “Baking, skiing – governing. Exploring the popularity of personalised posts on Norwegian political instagram accounts” tries to assess what type of content appear to yield higher levels of popularity when it comes to Instagram account operated by politicians. Tomorrow, I’m off to Odense and the ECREA Journalism Studies Conference 2017. As such, the rest of the week will be spent pondering and presenting on journalism research.